During the fiscal year ended September 30, 2013, the United States Mint reported higher numismatic revenue and net income, as the contributions from special product offerings offset continuing weakness for some traditional products. Revenue for the segment grew by 6.5% to $512.4 million, while net income and seigniorage increased by 29.6% to to $95.8 million. The United States Mint’s numismatic program includes high quality versions or specially packaged circulating coins, precious metals coins, commemorative coins, and medals which are offered for sale directly to the public. Some products are required by federal statute, some are required under individual public laws, and others are created at the discretion of the Secretary of the Treasury. A main objective of the numismatic program is to increase the customer base and foster new sales, while controlling costs to keep prices as low as practicable. Special product offerings played a major role in maintaining the overall level of numismatic program revenue. During the year, the US Mint offered the 2013 West Point Silver Eagle Set which contained reverse proof and enhanced uncirculated coins to celebrate the 75th anniversary of the edifice that houses the West Point Mint. This product was made available to order only during a four week period and generated revenue of $32 million. The 2013-W Reverse Proof Gold Buffalo was offered to celebrate the 100th anniversary of James Earle Fraser’s classic design. During a four week ordering period near the end of the fiscal year, this product generated $49.9 million in sales. Breaking down numismatic program revenue by segment shows gold and platinum products responsible for $214.2 million in sales, up from $161.5 million in the prior year. Nearly the entire increase can be attributed to the Reverse Proof Gold Buffalo offering. Silver product revenue was $129.5 million down from $150.5 million in the prior year. 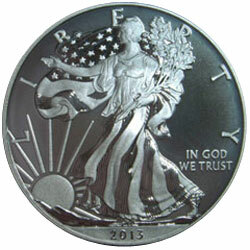 During fiscal 2012, results had included sales from two special sets, the 2011 25th Anniversary Silver Eagle Set and the 2012 San Francisco Silver Eagle Set. Revenue generated from annual sets continued its multi-year decline at $62.8 million, down from $65.7 million in the prior year. In fiscal 2013, the product category generated a loss of $3.4 million. Quarter products revenue declined to $17.8 million, compared to $18.9 million in the prior year. Presidential Dollar products revenue increased to $44.9 million compared to $35.4 million in the prior year. The increase can be attributed to the Treasury Department decision to suspend production and distribution of new designs circulation, which has driven higher sales of numismatic bags and rolls. Commemorative produce revenue declined to $23 million compared to $29 million in the prior year. Revenue from miscellaneous products remained flat. On an overall basis, the numismatic program carried a robust net margin of 18.7%. This was up from the overall net margin of 15.4% in the prior year. The increase can be attributed to a product mix shift to higher margin gold & platinum products and Presidential Dollar products as well as cost reductions.